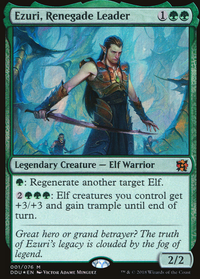 ooh, following along the lines of Selvala, Heart of the Wilds , massive mana dorks like Priest of Titania / Elvish Archdruid , Metalworker , Rofellos, Llanowar Emissary , or Heritage Druid can all be disastrous if they stick around, so destroy or counter ASAP. 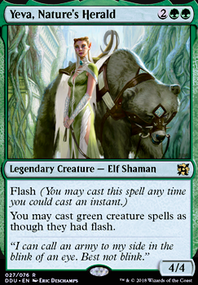 I would ditch your Heritage Druid s for three more Elvish Archdruid s, that should make your ramp a lot more consistent. 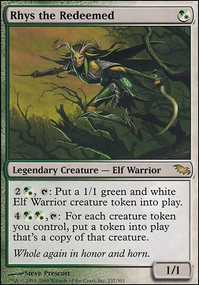 Also, consider switching out one of your Sylvan Messenger s for a fourth Essence Warden . If you're not able to get Emrakul as fast as you'd like in a given game, the life gain could be a big help. 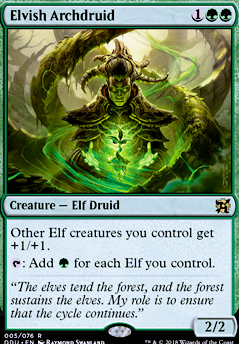 That's a solid budget elves deck! 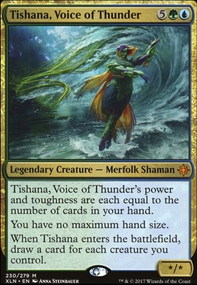 One thing to note is that Priest of Titania is not legal in modern. 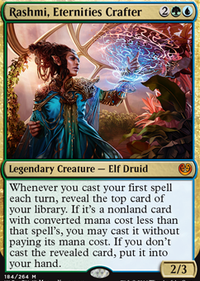 Try Elvish Mystic instead or Elvish Archdruid . Goblins and other burn variants will be tough matchups because they are faster and they have a lot of burn. 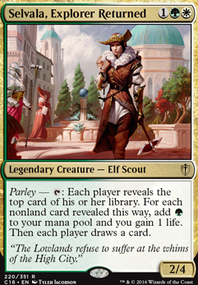 Elvish Promenade seems win-more. When you're behind it doesn't do enough to get you back in and when you're ahead it's overkill. Dwynen should do a lot in the matchup.